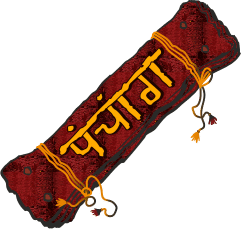 The Panchang Astrology Calculator is a tool to use to find your good luck. The panchang is a part of Vedic astrology that has been used for 600 years. What is the panchang? The panchang is a type of calendar that is used to forecast special events such as lunar eclipses and solar eclipses and transits of planets. Astrologers consult the panchang to help clients set beneficial appointments for weddings and interviews, as well as political meetings for the best chance of success. Religious activities are also scheduled by astrologers to help people gain the most spiritual experiences. The main purpose for the panchang is to discover the luckiest days and times for special events. This can only be done by the most advanced astrologers who are educated in precise mathematical calculations of the movement of the stars, asteroids, planets, and heavenly points in the zodiac. The patterns of the planets are always changing. Every planet travels at a different speed. When the planets are at particular angles from each other, there exist relationships. Like all relationships, some are better than others for different purposes. Every hour, is a different relationship. Depending on your natal horoscope, the position of the planets are affecting parts of your life in special ways. If you want to have success in your next job interview, then there does exist a planetary pattern that will be most beneficial to you. If you want to be your most lucky when you go out to find a suitable partner, there does indeed, exist the most beneficial day and hour for you to do so. Figuring it out is the hardest part. What is easy though, is using this free panchang astrology calculator. With this easy tool, you will discover the day that is always your luckiest as well as hours of the days that are best for you to pursue your dreams. You can go very far and get very specific when it comes to knowing the luckiest times for any situation, but first you will be pleased to discover the general luck that you already have right now.